There are two problems with search engines like Google. First, they can give way too many irrelevant results. Second — how do you search for something that you don't know exists? That's when you need a good curated list of relevant sites. 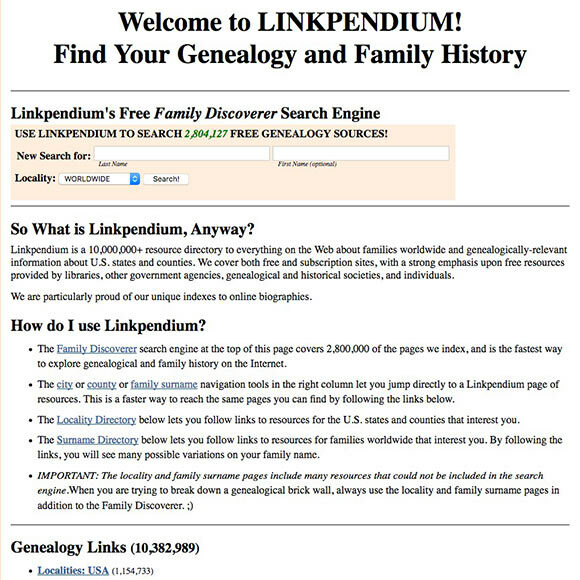 My go-to source for finding genealogy websites: Linkpendium. 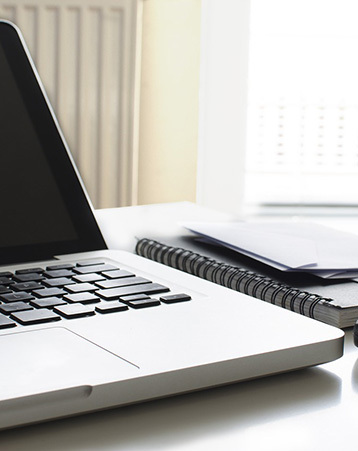 Let's take a look at the largest collection of links to genealogy websites. Linkpendium is a site with more than 10 million links to genealogy resources. (That's a whole lot of websites!) It was created by Karen and Brian "Wolf" Leverich, the creators of RootsWeb — people who know about genealogy on the Internet. Those 10 million links include more than 1 million to U.S. resources, more than 9 million surname pages (worldwide), and about 10,000 UK links. Let's say that your research leads to Fayette County, Pennsylvania. You've seen what's on Ancestry and FamilySearch, but you know there's more out there. 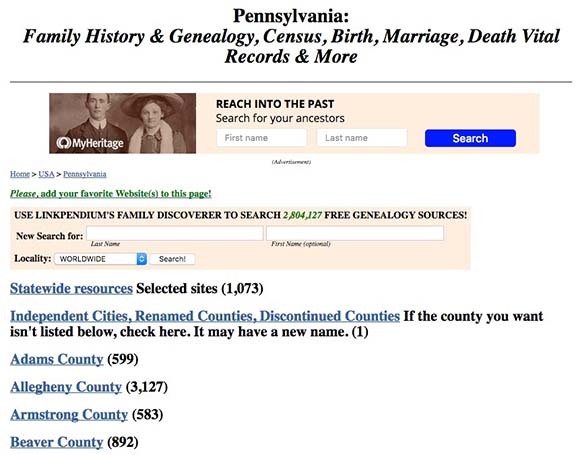 You go to Google and search for Fayette County Pennsylvania genealogy... and you get 218,000 results. (Yeah, Fayette County has a lot of genealogy, but 218,000? I don't think so.) Let's find the meaningful stuff. Go to LInkpendium.com and scroll down to the Genealogy Links section. There you'll see links to all 50 US states, plus American Samoa, the District of Columbia, Puerto Rico, and the Virgin Islands. Click on Pennsylvania. The top of each state page has a link to statewide resources, followed by links to each county (or parish, if you're looking at Louisiana). The number after each link shows how many links are on that page. Scroll down to the county you want (in this case, Fayette) and click on it. 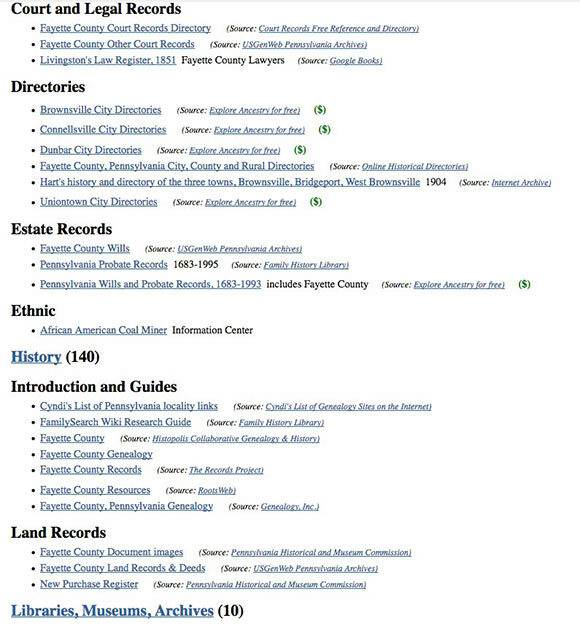 You'll get a links for genealogy resources pertaining to Fayette County, Pennsylvania, broken down by category. Each county page also has links to the surrounding counties. You can also tell if a site is free or requires a subscription; subscription sites are noted with "($)" after them. A small portion of the Fayette County, Pennsylvania page. 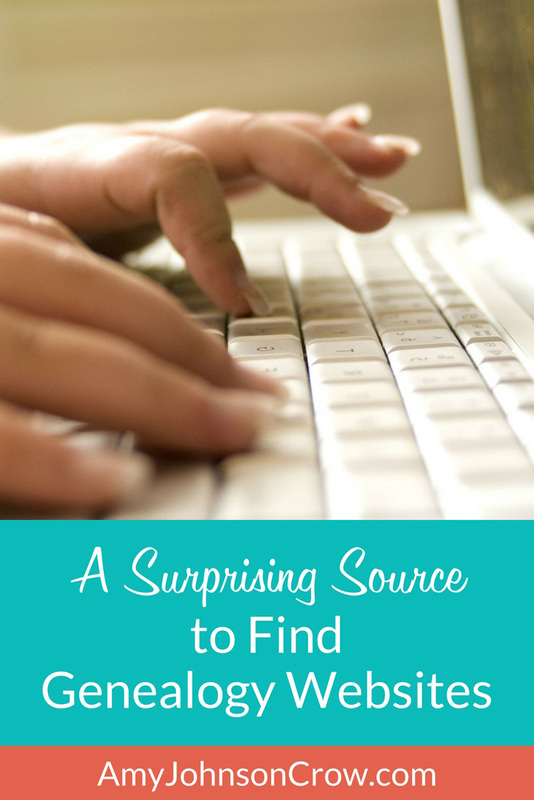 These aren't just sources like Ancestry, FamilySearch, and RootsWeb. 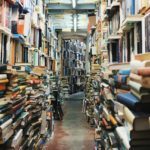 There are links to resources at libraries, archives, societies, government agencies, non-profits, for-profits — all categorized and easy to find. 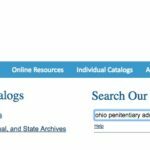 NOTE to genealogy societies: Go to the appropriate county or state page and submit links not only for your society, but also any databases you have. (You'll find a link to the submission form at the top and bottom of each county and state page.) It's free advertising! Links to surname resources make up the bulk of Linkpendium's links. To find the surname that you want, either use the search box on the right-hand side of the page or scroll down on the main page to the "Surnames: Worldwide" section and click on the first letter of the name. Keep clicking through the appropriate sections. Here's a portion of the page for the Skinner family. 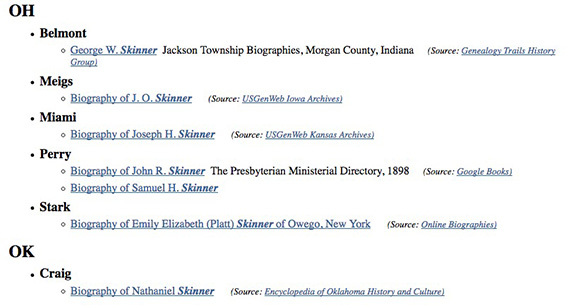 A small portion of the Skinner surname page on Linkpendium. On the main page, you can enter a surname, a first name (optional), and a location (either "worldwide" or a US state). Go try Linkpendium and leave a comment letting me know what you found! Like saving money when you research? 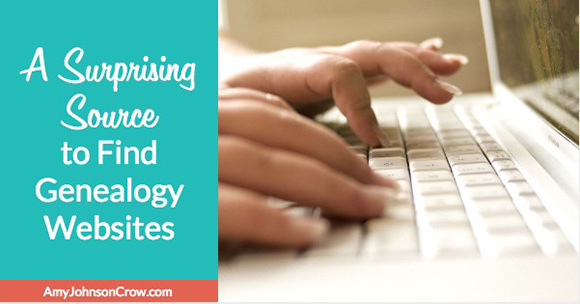 Click to get your copy of "10 Essential Free Resources for Your Genealogy." 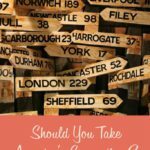 Should You Take Ancestry’s Suggestions? This entry was posted in websites by Amy Johnson Crow. Bookmark the permalink. Amy, this encouraged me to take a harder look at Linkpendium. Have you checked out LDSGenealogy.com? I’ve been liking it lately. Super well-organized by state and county. Links directly to Ancestry and Familysearch data sources as well as local ones. Linkpendium also includes Ancestry and FamilySearch resources. I looked at LDSGenealogy.com a long time ago; I’ll take another look. Have been using Linkpendium for several years and have found MANY answers to find my ancestors! Good on surnames, but really like places! Thanks for helping others. Once I found linkpendium’s vast resources, I have used them and recommended them for years! Nothing like it out there. I checked it out and definitely will add it to my list of tools! I had never heard of it until your post. Thank you for the information Amy! Wow–love this website. Thanks for the tips. Great source will be sharing this with other genealogists. I tried, with not great results. Did a person search for my great-grandfather, Frederick Ferdinando, knowing there are news reports etc about him, as well as a public tree. Nothing. So I tried just Ferdinando. Some decent hits, but nothing for Frederick and in the first two pages of results, it didn’t find my 4th cousins Ferdinando website which has been around for 20+ years. British-based, so maybe that’s the issue. I will certainly recommend it for anyone doing American research as that seems to be its strength. It is stronger in US sources. However, I’d encourage you to submit the link to your cousin’s website. On the Fernando family page: http://www.linkpendium.com/ferdinando-family/ there’s a link near the top of the page “Please add your favorite website(s) to this page”. Unfortunately for me, I met up with myself on many of the links with my main surnames; or I saw someone I had connected with researching them whose work I was already aware of. There was one broken link; at least it didn’t come up for me. It was the one for Russian immigrants. And, sadly, with Rootsweb down that doesn’t help because some of the links are on Rootsweb. I feel it is worth a try though! It is a tool that helps us leave no stone unturned. This is a fantastic help for my research for my USA family and ancestors in Ohio- which I have trouble getting documentation about. Am now rejuvenated with my searches. Thank you so much for posting this information. The documentation supports the verbal information given to me by my mother and grandmother-whom I can no longer access for information. A little difficult to get there from Australia so very grateful. No Canadian references or resources 🙁 will still have a look see for the UK though. Amy , do your SKINNERS trace back to the SPEAR family that came from Londonderry , Northern Ireland ?